Michael Irvin has a ton of respect for Jerry Jones, and the feeling is pretty mutual dating back to their days with the early 90s Cowboys and the glory years. Jones was the brash owner who helped build the dynasty, and Irvin was the heart and soul of that team, which also featured fellow Hall of Famers Troy Aikman and Emmitt Smith. Irvin showed tons of passion in his playing days, and shows the same in the present day in his role as an analyst on NFL Network. 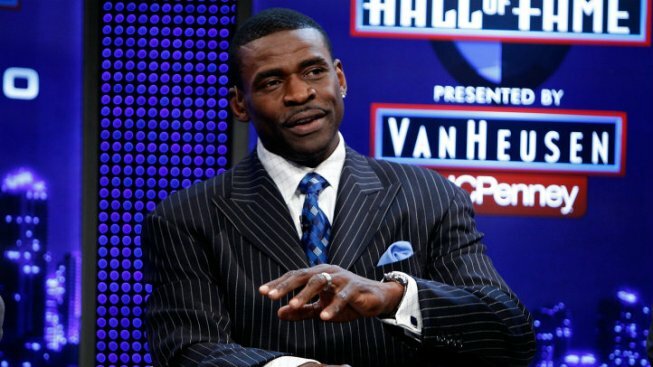 Irvin called into a show on the network on Wednesday and let his feelings be known very clearly in regards to the Cowboys' current situation with free agent running back DeMarco Murray, who appears set to be signed by the Philadelphia Eagles. “A lot of people…are talking out of their booty if they think they could stick just anybody back there,” Irvin said, as he got more and more impassioned as the interview went on. Murray would be the first NFL rushing champ to leave his team the ensuing offseason, so we're talking about uncharted territory here. Irvin made some solid points about team chemistry and the team identity that was established last year with Murray and the offensive line. Ultimately, the Cowboys have had a tough decision to make on this, and while it's not yet final, it seems Murray is as good as gone.